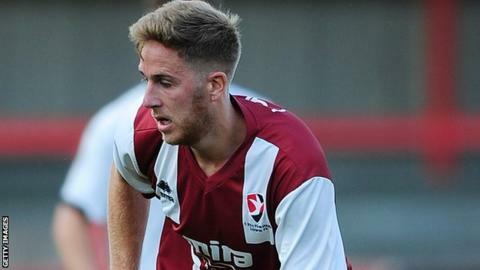 Cheltenham Town midfielder Asa Hall needs keyhole surgery on his Achilles injury and will be out for six weeks. The 28-year-old joined in May, but tore a calf muscle just four minutes into his debut match and the injury spread. Further complications delayed his comeback when another tendon attached itself to the Achilles. Senior sports therapist Ian Weston told the club website: "The surgeon needs to strip the tendon away and the rehab from there should be straightforward."